The experience of the German Energiewende shows that increasing amounts of renewable energy on the power system, while at the same time reducing inflexible baseload generation, does not harm reliability write Michael Hogan, Camille Kadoch, Carl Linvill and Megan O’Reilly of the Regulatory Assistance Project (RAP). American policymakers who are still skeptical can look across the Atlantic, to Germany, for a concrete example of a successful transition away from traditional baseload, the authors note. Courtesy Public Utilities Fortnightly. The power system in the United States, like that in numerous other countries throughout the world, is in a period of transition. Overall, generation is shifting away from large, inflexible thermal generation, that is, traditional baseload generation, and toward smaller, more dispersed, variable renewable resources. This transition is occurring both because citizens are calling for less carbon-intensive resources, and simply because wind and solar have become among the least expensive resources. U.S. natural gas prices have declined and the cost of renewables has come down dramatically. This shift has triggered a debate among some U.S. policymakers about reliability and the continued need for baseload power plants such as coal and nuclear. Scott Pruitt, head of the Environmental Protection Agency, has said that coal-fired power plants are key to preserving electricity reliability. This thinking is likewise reflected in the U.S. Department of Energy’s recent proposal to allow special cost recovery for generators that can store ninety days of fuel on site. However, numerous studies sponsored by utilities, system operators, the national labs, and others show that a large share of variable renewable energy production can be integrated while keeping the lights on, without any valuable role for traditional baseload. No study, not even by the Department of Energy, which examined this issue in an August 2017 Staff Report on Electricity Markets and Reliability, has found evidence that baseload generation is required for reliability. Most studies have found that reliability and least cost are best served by reducing the share of inflexible baseload generation. To the extent that reliability is a concern, it is not one driven by a lack of available generating capacity. A recent report from Rhodium Group found that a mere 0.00865 percent of all customer service hours lost from 2012 to 2016 were due to either fuel supply emergencies or other concerns about the availability of generation. American policymakers who are still skeptical can look across the Atlantic for a concrete example of a successful transition away from traditional baseload. Germany traditionally relied on a significant share of inflexible thermal generation such as coal and nuclear to supply the grid. Resources were dispatched to meet load, and variable resources were few. Government statistics show that VREs now make up eighteen percent of the German electricity mix, and all renewables, including hydro, account for twenty-nine percent. At the same time, Germany is phasing out baseload nuclear plants and is also working on decarbonizing its remaining energy mix by phasing out inflexible baseload coal- fired generation. In spite of the fact that Germany is meeting nearly a fifth of its electricity requirements with VREs while retiring inflexible thermal generation, the nation has not experienced reliability problems on either the distribution or bulk electric system. If anything, government data show that the reliability of the German system has increased. The German Energiewende is one facet of the government’s commitment to an aggressive, economy-wide reduction in greenhouse gas emissions. 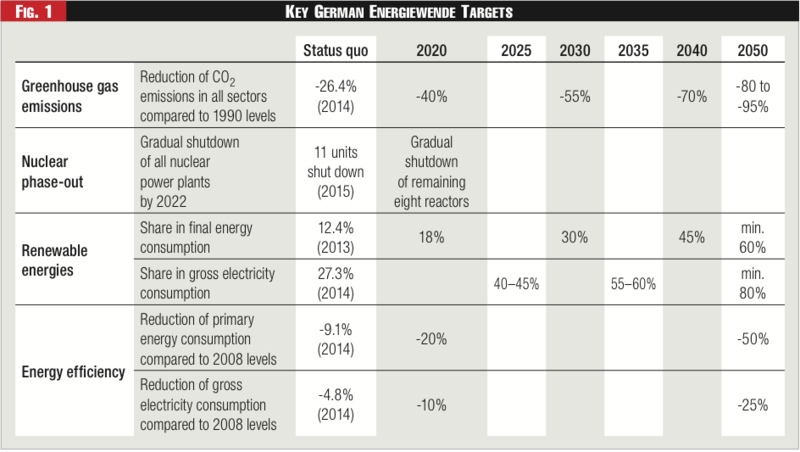 The Energiewende has set ambitious targets for renewable energy. Renewables should make up at least fifty percent of the power generation mix by 2030, sixty percent by 2040, and eighty percent by 2050. Germany has significantly diversified its electricity mix toward renewables, which grew from just four percent in 1990 to the current twenty-nine percent. Germany’s goal of eighty percent renewable energy by 2050 now has to be met at the same time as the country retires its nuclear fleet. After the nuclear accident at Japan’s Fukushima Daiichi plant in March 2011, the German government set a nuclear phase-out deadline of 2022. As part of this move, the seven oldest nuclear reactors were immediately shut down. To meet these goals, the country is anticipating a future with large amounts of variable renewables, no nuclear power, and very small amounts of fossil fuels. In this context, dispatching large thermal power plants in baseload service to meet demand is increasingly outmoded. Germany already produces hours of nearly a hundred percent renewable electricity on the system. As a spokeswoman for the Federal Ministry of Economics and Energy has put it, “baseload is no longer needed,” otherwise it could “block the grid.” This has consequences for the inflexible thermal generation that remains on the system. During hours of low VRE production, baseload plants that were displacing cheaper energy sources leading up to these hours have little or no capacity in reserve, requiring investment in additional, peaking generation capacity that sits idle most of the time. By contrast, more flexible, dispatchable generation that can ramp down during periods of high VRE production can maximize the use of cheap energy, while at the same time inherently providing the reserve capacity needed for other hours. Germany eventually envisions moving to an electricity market 2.0 where the focus shifts to balancing net load. Inflexible baseload generation will be used infrequently because it is not competitive with more flexible supply-side and demand-side resources in many hours. Wind and solar would provide the bulk of energy over a regional grid, with smart demand-side flexibility and more flexible load-following thermal generation helping to balance out the system. What has this meant in practice? With the share of renewable production now close to a third of the total electricity mix, and with nuclear plants retiring, how is the reliability of the German electricity system faring? The chart below tracks the trends in the country’s energy mix as well as System Average Interruption Duration Index (SAIDI), a measure of the annual average duration of interruption in customer service from all causes, indicated in minutes per year. The chart also shows Loss of Load Expectation (LOLE) numbers, a widely-used measure of resource adequacy that assesses how many minutes a year, on average, the available generation capacity in a given control area is likely to fall short of total demand. 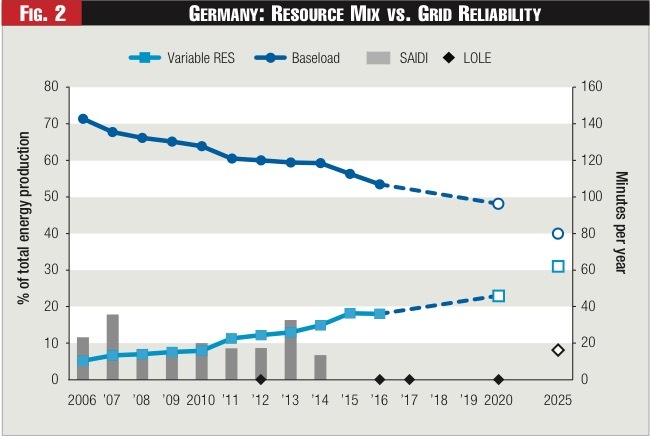 Both the SAIDI and LOLE numbers show that increasing amounts of VREs and decreasing baseload production have not negatively affected reliability in Germany to date. Both the SAIDI and LOLE data indicate that reliability has followed historic trends. e potential uptick in LOLE numbers for 2025 reflects the fact that LOLE nearly always shows an increase that far into the future, because LOLE only reflects committed generation investments and commitments to new resources that are normally made within a five-year time frame. Even the projected uptick should be put into perspective: it projects an LOLE of less than twenty minutes per year, well below the prevailing U.S. standard of a hundred and forty four minutes per year. A more granular analysis of SAIDI numbers over the past decade indicates that the reliability of the medium- and low-voltage system has in fact improved over this period. 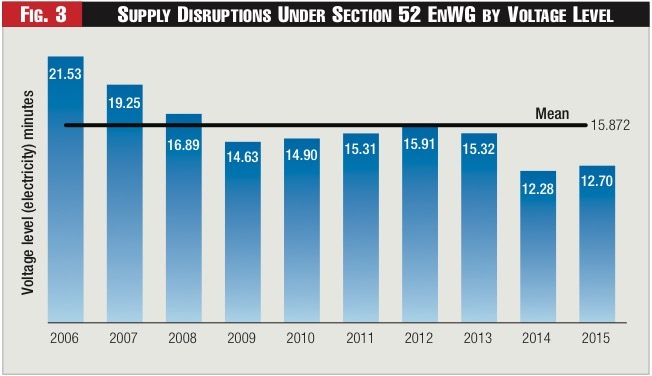 The next chart tracks the duration of disruptions attributable to distribution system events between 2006 and 2015 – showing a clear decline over that period. System adequacy in Germany is based on a national power balance, but given that electricity is traded cross-border in the European interconnected system, the SAIDI and LOLE numbers in this context are being considered in a vacuum. Weighing the availability of resources across the wider European system would presumably increase reliability even further. What does the Energiewende teach us about what resources are needed? The Energiewende also demonstrates the types of resources that are needed on a system with large amounts of VREs. The figure below illustrates this. Prior to integration of VREs, system operators needed to meet fairly predictable total demand (top line in purple) with dispatchable generation sources, with a substantial amount of non- fluctuating demand. However, in a system where variable resources are integrated fully, dispatchable resources now need to follow changes in the residual “net demand” (blue line) not already served by “free” energy from variable renewables, and very little of the net demand is non- fluctuating. Baseload resources, traditionally nuclear and coal plants, are not technically or economically well suited to this new paradigm. It will be more volatile and costly to balance the system if the dispatchable resource base continues to be dominated by inflexible baseload generation. To the extent there is a demand for generation to be operated round the clock, more flexible plants are fully capable of meeting this need. This is good news for consumers. Currently, grid operators dispatch wind and solar first because they have the lowest operating costs. The weather-dependent nature of the resources creates a need for other resources to adjust their dispatch more frequently and extensively to balance system supply and demand. Continuing to rely on inflexible baseload would require curtailment of less costly energy. The alternative is an economic mix of VREs and load-following plants that displaces baseload operations. By removing inflexible baseload in favor of more flexible load-following plants, consumers realize the full benefit of the lowest-cost resources while receiving the same quality of service. Germany is now debating how increasing shares of VRE can be integrated cost-effectively. In the spring of 2017, the country’s national regulatory authority published a report that analyzed five events in 2015 where a high share of VREs on the grid coincided with negative market prices. The report closes by recommending further ways to decrease costs of VRE integration while decreasing inflexible thermal generation. Recommendations included better forecasting (of load, and of renewable energy supply), support for infrastructure investments, better use of spinning reserves, and other system improvements. The experience of the Energiewende shows that increasing amounts of renewable energy on the power system, while at the same time reducing inflexible baseload generation, does not harm reliability and can lower the cost of VRE integration. Indeed, the German data suggest that reliability has actually improved under these conditions. What the Energiewende does demonstrate is a need for greater system flexibility. Germany’s energy transformation envisions a grid where conventional thermal generation would follow “net load,” meeting short- term energy demand in some hours and the demand for flexible reserves in other hours, and variable renewable energy such as wind and solar energy would provide the bulk of energy over a regional grid. The Energiewende provides evidence that this type of system can be reliable and is attainable. For regulators and policymakers in the U.S. deliberating whether and how to respond to federal officials and others who insist that inflexible baseload is essential for reliability, the German experience offers important evidence to the contrary. The Regulatory Assistance Project (RAP) is a globally operating independent and nonpartisan team of experts. Michael Hogan is a senior advisor to the Regulatory Assistance Project (RAP), working on issues related to power market design, integration of low-carbon supply, system planning, and demand response in the United States and Europe. Camille Kadoch is RAP’s general counsel and publications manager. Dr. Carl Linvill is a RAP principal, leading the organization’s efforts on renewable energy integration and trans- mission planning in the Western United States. Megan O’Reilly is an environmental lawyer and principal and owner of Arc Research and Analysis; she worked with RAP and Agora Energiewende as a Robert Bosch Fellow in 2016-2017. This article was originally published in the February 2018 issue of Public Utilities Fortnightly ( www.fortnightly.com ). 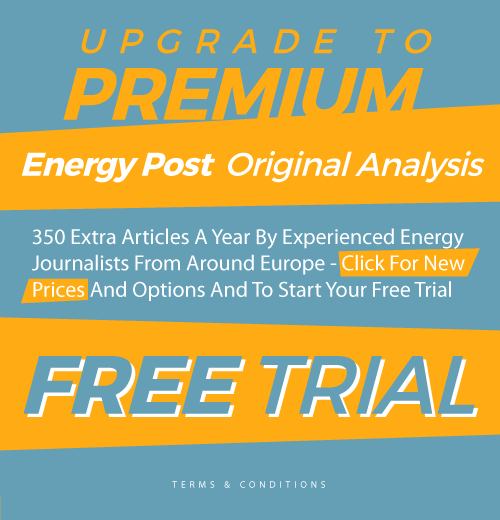 Permission to republish this article in EnergyPost has been granted by the publisher. The article is fine so far as it goes but makes the transition sound too easy. The biggest energy companies in Germany worked hard to balance the renewables and in return were practically bankrupted, thanks largely to interaction of their generation and the variable renewables with the merit order pricing system. This was probably in balance a good thing, since the necessary devaluation of capital investments would have been hard to achieve via a more direct political process. It has also however strengthened the position of the lignite generation plants, which can still make money at the current low wholesale prices (some of them are also flexible). For the future, a question is whether the current merit order system can support both the variable renewables and the required flexible generation for balancing. To the extent that the flexible generation already exists and is partly paid for, the issue is defused, but it may become very difficult to finance new flexible generation. So the German experience shows that VRE with low baseload generation can function technically, but may not yet show how this could fit with market economics. This mixes up issues: the biggest energy companies (EON / RWE) had the pool position to invest into RE, when the renewable energy act started giving subsidies way back in 2000. They did not – they did not adapt their business modells – so were simply moved out of the markt. Due to unbundling they do not have to deal with the fluctuations, just with the market. The fluctuations are being handled by the transition grid providers (fully regulated – giving a good margin on investments) and extra costs from redispatching are borne by all energy consumers (included in wheeling charge). When it get´s to PtG I think this is one option; in the same manner we see business models with swarm technology, bringing e.g. 100 small size storage systems to the regulating energy market. We see other storate even popping up – we see a closer combination of heat and power; a more active regulation of load, etc. – in fact the regulatory framework is even still lagging behind; experts say 3-5 years. Still there are some challenges, but probably the further digitalization of everything will also help in this issue. 1. The fluctuations are handled by the grid providers – but this also required that the utilities learn to operate their plants in a more agile fashion, I think that this was a considerable effort. 2. Could the big utilities have ‘saved’ themselves by adopting wind and solar generation? It is at least plausible that if they now had wind/solar/biogas fractions comparable to the German average the accompanying subsidies could cover the collapse of the wholesale prices and the asset write-offs for conventional generation (I don’t know how the numbers would work out). It would also mean that they would now own a large fraction of the renewable generation, and would receive a large fraction of the total subsidies. The Energiewende started as a project oriented toward citizen participation, and this has made a significant contribution to its success. I suspect that if the big utilities had jumped in early, and with large installations there would have been a considerable back-reaction, as the public saw most of the electricity surcharge going back to the utilities. So I’m not sure that the utilities had this option (which they were very far from wanting to use, in any case). about 1): correct – but with the large coal-fired power plants and nukes, which only allow adaptation of frequency (primary regulation energy market due to generator operational point) but not faster in- and decrease in capacity (requirement as renewable had the access and injection right to the grid); they did not manage it; they had sufficient time to de-vest in coal and create may be gas fired plants which fit as transitional technology quite well (and subsequently serve for the PtG approach). 2) looking back now, knowing what we know now, of course we could speculate what might have happened. I think the management – from 1998 till 2012 – just were absolutely not aware of the potential increase in market share of renewables; they had the money, but the structures where completely for the “old” world – they had no idea, spirit or staff to do the job the 1000 of small companies (wind/pv/biomass) did. But, they had clearly the chance – and in more private talks they admit this management failure. Unfortunately during the last years (probably as consequence to the huge success of PV (21 GW in 2009-2011 installed) the government slowed down substantially – certainly always giving justification due to the costs. But even now, among experts (showing also by the last results of tenders for PV / wind onshore) the costs for RE are not only competitive – they are more than that. There is merely a LCOE calculation for fossil fuel plants integrating the environmental burden. It´s a complex topic…but I love it! Incorrect, Germany maintains the largest fleet of coal stations in Europe at c. 40GW and gas fired fleet of c.30GW. Germany’s supplies remain reliable because they have maintained fossil gen. capacity. 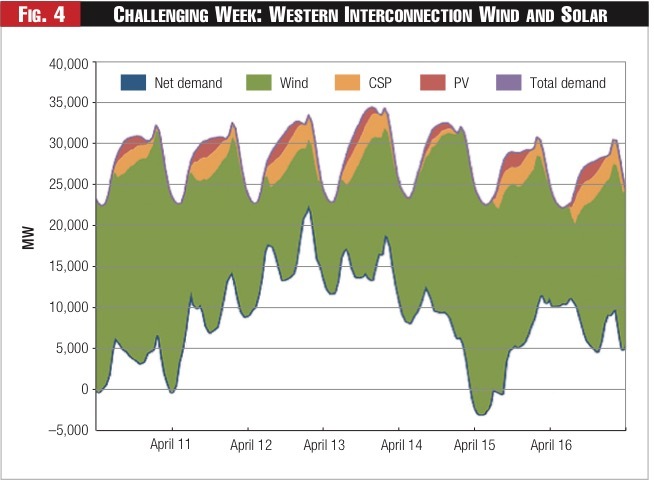 Intermittent renewables at times just displace reliable gen. capacity. Two weeks ago the UK experienced bitterly cold weather and snow (The beast from the East) over a five days. Electricity demand peaked and gas demand shot up, including for power generation, resulting in National Grid issuing requests for more gas to suppliers. Typically wind output declines during cold weather in the UK. Fortunately, this time wind gen. held up reducing gas demand for CCGTs so protecting gas supplies to domestic consumers. Despite clear skies solar output declined because panels were covered in snow. If Germany’s Government was serious about tackling carbon emissions it wouldn’t be prematurely closing safe German nukes! Or turning a blind eye to the problem of transport emissions. Not true, Germany has to keep a big coal and gas-fired fleet running to cover intermittent renewables. Closure of lignite gen. will result in more flexible gas gen. capacity running so increasing gas imports and dependency on Gazprom. DSR response is totally inadequate to address periods when wind and solar are down and Germany’s demand is running at over 2TWhr/day. 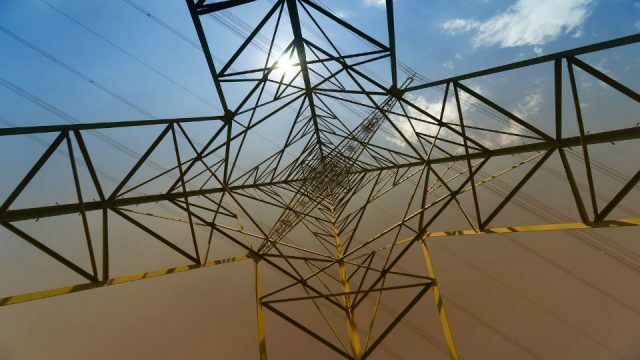 Interconnectors with the capacity to wheel many GW across Europe would be very expensive, run into environmental and feasibility issues, be politically an issue and unable to guarantee keeping the lights on without dispatchable back-up too. Suggesting energy from renewables is ‘free’ shows a serious lack of understanding of power generation economics! Wrong, wind and solar are guaranteed access and have to be dispatched first. Although that is changing in Europe. Coal (incl. lignite) generation reduced from 51% in 2003 towards 37% in 2017. Base load generation will gradually vanish as it cannot compete in the future where VRE will deliver >50%, hence will produce >100% during ~100 days a year (= compare Denmark). History shows that >0.5% of the nuclear power reactors end in disaster requiring evacuation of large areas, etc. etc. Germany is a rather dense populated country. German citizens and govt consider nuclear as far more dangerous. While >1000mile away they experienced the serious health consequences of fall-out from Chernobyl such as e.g. increased still birth and serious birth defects. For that they have PtG in development. Already >20 major pilots running. Those operate during overproduction when electricity is cheap (1cnt/KWh). The produced gas can be stored in deep earth caverns. Germany stores already ~200TWh (consumption ~600TWh/a) in such caverns. Regular roll-out of the unmanned automated plants is planned to start in ~2024. As their marginal costs are near zero, wind and solar will continue to produce and sell until the price is <$1/MWh. So they will press other generators from the market anyway. Unmanned gas turbines (peakers) and/or fuel cell assemblies will be the last classic generators. Those can burn the stored renewable H2 gas when there is not enough wind & sun. Existing lorry sized pilot power to gas plants rated at around 100kW are not ‘major’ but tiny. Each plant would need to be 10,000 times that size to produce enough synthetic gas to make to curtail natural gas consumption. The input cost of electricity to a huge fleet of power to gas plants would be around 6cnt/kWh, i.e. the cost of new offshore wind including transmission. 1cnt/kWh only applies at the margin, not if power to gas plants became the biggest consumer of electricity in Germany with a goal to eliminate consumption of natural gas. To produce 600TWh/year of gas would require over 300GW of off shore wind power at an installed cost of around Euros1000bn. That doesn’t include the cost of the power to gas plants either. But the figure is large enough to be uneconomic anyway compared to cheap natural gas from the east. “As their marginal costs are near zero, wind and solar will continue to produce and sell until the price is <$1/MWh. So they will press other generators from the market anyway." Developers of offshore wind will have ceased investing long before power prices reached $5MWh so would not be recoverable given Germany’s consumers are fed up with rising power prices needed to subsidise renewables. PtG will operate the ~2500hrs/a during which there is overproduction (not yet as wind+solar produce only 25% now). Then prices are near zero or negative (as occur already sometimes). They plan a total pilot capacity of 2GW in 2022, so 2years before regular roll-out would start. Note that they have reserve in their planning such that they can afford to have a delay of some years. – offshore wind is moving towards LCOE $20/MWh. Note that Dutch power price is predicted to be $30/MWh in 2035 and that Dutch govt now evaluates bids of investors/utilities who are prepared to install a 700MW off-shore wind farm before 2022 without subsidy or guarantee (accepting a penalty if they don’t succeed)…. And that won’t be the end of the wind & solar price decreases. Bas, if PtG really gets going and GW size plants are competing for electricity supplies when there is surplus relative to consumer demand, PtG plants will not be able to purchase much electricity at near zero or negative prices as demand from PtG plants will mean there isn’t over production. So the economics of PtG plants will be driven by the long-run marginal costs of off shore wind, not short-run marginal costs when wholesale power prices are near zero due to system over capacity. North Sea off shore wind investors are now having to accept power price market risk to obtain rights to build capacity. They will not invest in an over supplied market without price support which is ending for VRE. To do so would be economic suicide. Those developers who recently won contracts without subsidies to build wind capacity in the early 2020s will not go ahead if power prices decline further. The same argument applies to battery storage and pumped storage. Indeed, investors in energy storage projects seek long-term contracts for capacity as arbitrage opportunities are too risky for investors to rely on. Consequently, as the economics of PtG is problematic and the cycle efficiency of PtG is poor at around 40%, PtG is unlikely to be a grid scale solution to VRE intermittency. There won’t be GW size PtG plants, but many smaller plants (unmanned in sea-containers, etc) which in total will have a capacity of several GW’s. (read the PtG pages that I linked above). Investors research the market before they decide. So little chance that the capacity of those PtG plants will become more than needed. Especially since they will tune with govt authorities about the to expect wind & solar expansion. Even less chance that PtG plant owners will buy power for high prices as those imply that they will make losses. It’s clear that German authorities and others came to a different conclusion than you regarding PtG! And those arrived at their conclusion after elaborate studies. Not only at Dutch/German govt but all over the EU or even world wide. – the investment concerns a period of 30years. A price fluctuation of a few years is less relevant. The Dutch prediction of the price in 2035 is ~ halfway the operating period of the wind farm. Why make that claim when clearly you recognise PtG’s impact will be too small to displace much natural gas consumption or help address VRE intermittency? All the predictions point to new build VRE costs continuing to decline for the foreseeable future. It’s no secret that wholesale prices will continue to decline as more VRE is brought on line. That’s an uncomfortable fact that will affect investment decisions in all forms of plant relying on long term wholesale prices being high enough to support investment. 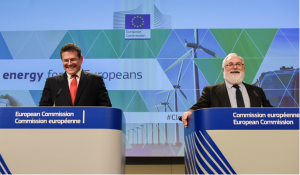 Investors will not go ahead with billions of Euros investments in off shore wind if they are worried about future power prices being too low, or the technology costs have not fallen as predicted, I assure you. Towards the end of the 1990’s dash for gas in the UK, there was over capacity and a number of CCGTs projects relying on Electricity Pool prices went bankrupt when power prices collapsed. Where forecasts are concerned, it’s certain they will be wrong. A number CCGTs also ran into big problems with new machine designs that failed. Don’t believe the hype, it could happen to renewables too now developers are taking power price risk and relying on wind turbines still in development. I wrote: “PtG plants are serial / mass production”. 10,000 PtG plants of 1MW each distributed over the country make 10GW in total. Which is already substantial (av. wind production was 12GW last year). E.g. They have already the first PtG plants at car refill stations for hydrogen cars and buses (e.g. Hamburg operates some hydrogen buses). Check the pages that I linked. a.o. an elaborate EU study concluded that with present technology 20MW wind turbines are feasible. As the scheduled new wind turbines are only 12-16MW, the risk is not very high. Bas, Germany’s target is only 1GW for 2022, not 10GW. There would not be a market either for 10,000 PtG plants to provide H2 for fuel cell vehicles. Germany has less than 10,000 petrol stations at present too. In addition, >1GW of PtG plant capacity is unlikely to be economic as the plants need ultra cheap electricity to power PtG capacity. Development will be constrained by inadequate supplies of cheap surplus VRE. So back to your original suggestion that PtG is a solution to VRE intermittency. It’s clearly a fantasy to suggest PtG will make any meaningful contribution to dealing with VRE intermittency. Also PtG plant costs are around 3000Euros/kW (comparable with new nuclear and offshore wind). So unless costs fall dramatically the economics on capital cost alone would be a problem, ignoring the issue of low efficiency and input energy costs. Imagine the situation after 2030 when wind+solar deliver >60%. Then they need PtG with storage, etc. Nobody wrote that all PtG plants would be used to refill H2 cars. Opposite. Please read and try to understand the pages about PtG that I linked above. When VRE produce >60% of all power, there will be enough very cheap power. Similar may occur with PtG now. This is [not true…] renewables in germany are growing but mostly thanks to on shore wind, which is alreadyreaching his limit. In 2017 total renewables generated only 218 TWh while total fossil fuels generated 408 TWh. Since January 2013*), so in the past 5years, German household electricity prices increased 1%/a (=inflation rate). In the same period Belgian (>50% nuclear) prices increased 6%/a (now 28cnt/KWh). In 2017 onshore wind capacity grew with >5.1GW, a record. It’s twice the target rate of 2.5GW/a in the EEG2014. Until 2020 the target expansion is 3.5GW/a (EEG2017), thereafter it is 4.8GW/a for onshore wind. Studies showed that there is no land shortage for more wind turbines. The upcoming replacement market helps too, as a 1MW is often replaced by a 4MW wind turbine. Though now cheaper solar (in recent German auctions ~4cnt/KWh, decreasing further) may take part of the onshore wind expansion. German authorities project a further increase of the speed of the Energiewende (thanks to the price falls of offshore wind and solar). 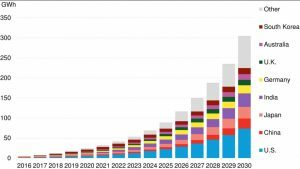 So they will surpass that 80% renewable share before 2040. *) Then the expensive, uncontrolled solar expansion frenzy in Germany ended, as Feed-in-Tariffs were then adapted every 3months (no longer once a year) based on the installation rate in past 12months. The article does not discuss German imports of French Nuclear Power, or the current use of other cross border power trades to balance the load vs demand. Also not discussed is the doubling of electrical costs to consumers, or the need to ask large consumers to deliberately consume more power when excess wind is forced on the grid. In theory those problems can be solved, but it is misleading to suggest that Germany behaves as an isolated island without the need to balance its load using adjacent country resources. As you can see at AGEB the German im-/export of power is only a small fraction. In the past 3years; import 4%, export 12%, resulting in a net export of 8%. Regarding France, German export prices were higher than the import prices. So the export to France delivered German utilities extra money. Shares of electricity produced in Germany. Figures copied from AGEB and UBA. So German electricity became ‘cleaner’ and ‘cleaner’ despite moving nuclear out. You would be right of one doesn’t consider that German export increased substantial. Those electricity map figures don’t include e.g. emissions of uranium mining (in a.o. Niger), uranium transport, etc. Even climate & nuclear fanatic James Hansen*) wrote in 2013 an article stating that nuclear emits 10 to 130 gCO2/KWh, av. 65 gCO2/KWh. It’s based on the 2008 review of scientific studies in the 1985-2006 period by Lenzen. Since then new nuclear became >2 times more more expensive, hence its emissions increased too…. So nowadays it’s 130 gCO2eq/KWh or more. If the 12(gCO2eq/kWh) for electricity produced by Nuclear Energy quoted by respectful organisations in wrong. We may as well say that the gCO2eq/kWh quoted for Germany on The Electricity Map Live Database API be lifted 10 times. Anti-nuclear fanatics like to make up there own arguments based on misinformation and avoid reality. Like quotes on new nuclear, whilst they forget that those so-called new nuclear plants are not operational in Europe and don’t produce any CO2, how pathetic. They also fail to acknowledge the fact that Germany is a top producer the dirtiest electricity in Europe, and will continue to be in this position for many more years to come. BTW – Not all New Nuclear will be that expensive. The Russian Gen-III+VVER1200 already operational is much lower in cost than the French EPR Reactor. My own calculations on the Gen-IV Fast Neutron Breeder Reactor shows a cradle to grave 0.3g(CO2e)/kWh. Repeating biased info doesn’t make it less biased. Check the Lenzen scientific review article. He reviewed in 2007 about 50 studies in the 1973-2006 period. And don’t forget to correct for the major costs increases, hence also emission increases, since then. BTW – Since I am to busy, I only read-up on scientific information that is relevant to the lessons learnt today and on what can be done sensibly for the future. I would like to congratulate Germany for all the progress it has made without any power interruptions or serious price spikes that I can tell. Germany understands perhaps better than anyone the risks associated with nuclear power and has taken rapid steps to reduce nuclear based generation. On the climate change issue, Germany has made major strides. The percentage of renewable energy generated power keeps going up. Germany has well thought out plans to lead the world into the 21 century. In the US Trump is leading us into the dark ages. Don’t congratulate Germany for the 4,000 annual premature deaths from coal fired power generation. Germany’s percentage of natural gas generated power keeps going up. The remaining nine nuclear reactors are closing by the end of 2022 and it will only get worse. France, Poland and Russia (Kaliningrad) expected to increase their electricity exports to Germany, mostly from nuclear sources, and Russia will start to export significantly more gas. Today, Germany’s carbon intensity is 481g(CO2eq/kWh) vs that of France 40g(CO2eq/kWh). Russia is happy to sell it’s natural gas to Germany and Russia’s long term energy policy is to have 80% of it’s electricity generated by nuclear power by the end of this century. The country to have the first 100 fast neutron breeder reactors operating in the closed nuclear fuel cycle will have a leading economy with the highest ERoEI. Trump is a lost case a waste of time to mention his name. German death estimates for coal fired power generation don’t support your guess. In 2017 nuclear produced 11.7% and Germany net export was 8.4%. In the 4years towards the end of 2022 (when the last NPP’s close) renewable share will increase 10.8% (increase was 2.7%/a in past 7years). Based on figures of AGEB, and assuming no coal plants are closed. Note that they can close quite a number of coal plants before becoming a net importer in 2023…. Those figures, especially those of France, are also far off reality. Fast neutron reactors have shown in the past ~60years, again and again, to be far more expensive than normal LWR/PWR reactors. No indication their very high costs (and risks) are decreasing…. So they only operate in environments without competition such as for trials, in communist countries and for defense. The real costs for nuclear plants (particularly ones under construction) is never published. In the US under construction plants heavily subsidized are being abandoned because the real costs of these plants are very high and the projects a very badly run. Each has massive cost overruns and schedules delayed many years. Perhaps things are better in Europe but I doubt it. When one only looks at the USA, yes the costs of these plants are very high and the construction projects are badly run. This is also the case with the French new builds. So lets call that the West. When one looks at the East it’s very different. The NPP’s are build at a much lower cost, have a much shorter construction time, and are completed on time and budget. For that very reason Finland has started the construction of the Russia VVER1200 Reactor. When it comes to carbon intensity, we appear to have people that have the delusion that the figures quoted on the Electricity Map Live Database especially those of France, are far off reality. How paranoid is that. The figures shown Live on the Electricity Map are quoted by government energy agencies and peer reviewed publications. Right now we see for Denmark 562g(CO2eq/kWh) vs Finland 206g(CO2eq/kWh). The performance of France is 25g(CO2eq/kWh). Again it shows where nuclear energy works. The premature deaths caused by German coal fired power generation are well published. The content of this report was researched and written by Dave Jones from Sandbag, Julia Huscher from Health and Environment Alliance (HEAL), Lauri Myllyvirta and Rosa Gierens from Greenpeace, Joanna Flisowska and Kathrin Gutmann from Climate Action Network (CAN) Europe, Darek Urbaniak and Sarah Azau from WWF European Policy Office. – Finland. Construction start 2005, planned to run in 2010. Now planned to start in 2019. – France. Construction start 2007, planned to run in 2012. Now operating start in 2019. – since China adapted improved safety rules, they experience similar delays. Strawman like replies. The new NPP’s in the West was already covered, and for that very reason Finland (was also mentioned in my earlier comment) for their next one looked towards the East, and decided for the proven less expensive Russian Gen-III+ VVER1200 Nuclear Reactor. Belarus has its first nuclear power plant under construction and plans to have it operating by 2019. The project is financed by Russia. Atomstroyexport is building the plant, with two VVER1200 reactors. Turkey has started the construction of 4 Russian VVER1200 Reactors. Unlike the French and USA Gen-III+ Reactors the currently operational Russian Gen-III+ VVER1200 Reactors have been completed on-time and on-budget. The NPP in the UAE, does not suffer from major delays. The 1st reactor is finished and the other 3 are on schedule. The delay to start the first reactor is due to training delays of the operator. This is a significant and time-consuming challenge, especially for countries that are new to using nuclear power. China adapted improved safety rules after the Fukushima incident, and made safety enhancements to the nuclear reactors under construction. They are expected to bring some 8 reactors online during 2018 and 2019. And Kukulandam was being built on time and on budget? (As the first version of this kind of reactor as it is mentioned here: https://de.wikipedia.org/wiki/AES-2006, prtly according to the old specifications as _I understand it? I have a Project Start in 1998, and a start of commercial operation (with plenty of interruptions due to the plant tripping) in 2014. Is this “on time and on budget”? Tianwan3 seems to be a bit closer to be “on time” but seems not to have reached commercial operation yet, at least I could not find information about this at once. The other projects with this kind of power plant? Well, in Kalinigrad a new reacter shold have delivered power till 2016. So far construction works are delayed for a unknown period. Leningrad II went into construction in 2007. It was planned to go into operation in 2013, but it is not yet known when wit will go into commercial operation. On Time and on budget?? German technology is very good and their reactors are safe, very safe. If they weren’t safe Germany’s safety regulator would have insisted on modifications to deal with any issues, or closed them. Indeed after Fukishima, around the world reactor operators reviewed reactor safety and took steps where needed. Germany’s decision is essentially politically driven, not justified on risk or safety grounds. New nuclear reactors being built are even safer and the risk even smaller compared to operating stations based on 40 year old designs. In terms of leadership on energy policy, I would argue that China, France, the UK, Finland, Russia, Sweden, USA have progressive energy policies that do not exclude safe and clean new nuclear power. A phase-out of government subsidies for coal power, supported by the European Parliament under a proposed revision of EU electricity market rules, was rejected by the Polish power sector as a reflection of “double standards” in Europe because it leaves German coal plants largely off the hook. The European Parliament’s suggestion to distinguish between “strategic reserves” eligible for state aid and “capacity markets” that should ultimately be phased out is “totally unacceptable” for the Polish power sector. 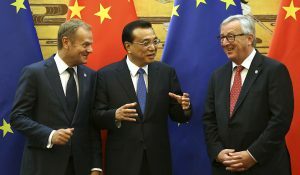 The European Commission, which tabled the reform as part of the ‘Clean Energy’ package of legislation in November 2016, called for banning state aid to power plants emitting more than 550g of CO2 per kilowatt hour – a proposal which effectively rules out subsidies for coal as well as some inefficient gas power plants. Nuclear power, by contrast, emits close to zero carbon dioxide and therefore qualifies for subsidies under the new EU regime, alongside other low-carbon sources of electricity. The European Commission’s all-powerful competition department, which polices state aid across the EU, has probably taken much of the heat away from the discussion. In February, it cleared capacity schemes in six EU countries – including Poland – triggering the ire of Green lawmakers, who accused the EU executive of allowing Warsaw and Berlin to continue subsidising coal through the back door. Poland has aspirations to open its first nuclear power plant by the end of the next decade. Progress on atomic energy plans, first announced in 2009, has been hampered by falling energy prices and negative public opinion following the 2011 Fukushima nuclear disaster. After the Law and Justice Party (PiS) won the last general election in 2015, Prime Minister Beata Szydło’s government dusted the plans off and insisted it wants nuclear power online within ten years. Minister Krzysztof Tchórzewski revealed some details of the government’s plan, explaining that “we would like to build three (nuclear power plant) units in five-year intervals, with the first one coming in 2029”, with costs predicted to reach nearly €6bn. In line with the ~10years old agreement between govt and the miner unions, the last two remaining hard coal mines in Germany will close this year. German lignite mines don’t receive subsidies. – the sale of lignite mine / power plant combinations to a.o. Czech utilities, which indicates the German owners see an end for those. At the moment Germany is still the biggest producer of lignite (brown coal being more CO2 intensive than hard coal) in the world, and yes they will shut its last hard coal mines in 2018. One must note that only a fraction of hard coal used in German power stations is mined locally. Instead, coal is imported from Russia (34.1%), the United States (16.5%), Australia (16.1%) and Columbia (15.8%), followed by Poland and South Africa (2016 data). To quote that lignite is competitive in the present market does not take into account the thousands of premature deaths and the cost to the health care systems. Does the sale of a German lignite mine / power plant combination to Czech utilities, wash the hands of the German people.??? German lignite plants make up seven out of Europe’s 10 biggest polluters, according to an analysis of European ETS data by climate NGO Sandbag. 55.3 percent of ETS emissions in Germany came from coal power plants in 2016. Prices for emission trading allowances on the European Emissions Trading System (EU ETS) are very low (around 5 euros per tonne CO2), thus making it inexpensive for power station operators to keep using lignite which would otherwise – because of its high CO2 intensity, be more expensive. That rumor / fantasy is repeated again and again without any decent recent study. Mining changed totally in the past century. The volume that an ETS emission right grants decreases yearly (~2%/a), so the price would increase unless needed emissions decrease faster. There were negotiations in order to increase the yearly decrease as that would increase the price of ETS rights sooner. But Eastern EU countries such as Poland blocked it. With the biggest polluter USA out of the Paris agreement, little chance for soon improvements. For the ones that conveniently think that the change in German mining technology improved the premature deaths of coal miners, maybe it did. However, this was not the issue, what has been stated a number of times now is the thousands of premature deaths in EU neighbouring member countries caused by German coal fired power generation, and they are well published by government agencies and qualified researchers. A report already mentioned by me on this discussion thread was researched and written by Dave Jones from Sandbag, Julia Huscher from Health and Environment Alliance (HEAL), Lauri Myllyvirta and Rosa Gierens from Greenpeace, Joanna Flisowska and Kathrin Gutmann from Climate Action Network (CAN) Europe, Darek Urbaniak and Sarah Azau from WWF European Policy Office. Your ‘report’ is a nice promotion brochure by a few environmental organizations without decent recent scientific research results. Its content is explicitly not supported by the EU or anything similar…. There is research which shows that people living near busy highways and along busy city streets live a few years shorter. Hence the bans for cars to enter city centers, etc. 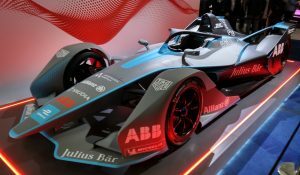 – only electric or H2 cars. Research also shows disastrous effects of nuclear facilities and nuclear power plants on the genetic health of new born up to 40km around them. Then we should also account for the million death Chernobyl caused in Europe, as well as the many thousands of serious abnormal newborn in regions up to 3000km away from Chernobyl. So we should start with closing all nuclear asap, which is what German authorities do! Then remove fossil driven cars and aircraft and of course also remove coal plants which are anyway already on the way out due to CO2 and their easy replacement by wind+solar+storage (incl. PtG for seasonal storage). The Price for CO2 Emission Certificates at the moment is 12,72€/t, see https://www.eex.com/de/marktdaten/umweltprodukte/spotmarkt/european-emission-allowances#!/2018/04/05, the recent market changes show effect. Vattenfall, who did not see much profitable future (like most of the german utilities) sold the lignite assets for abroud zero money (or less) to the czech power produces, which still wand to expand the use of coal (like in Poalnd). Considering that the rate of installation is planned to be increased (by lifting the share of renewables in 2030 and addopting the corridors accordingly, and with some ad hoc tenders for more wind power installations in the next two years) I think Vattenfall did make the right choice. We will see if the czech operators will invest a lot of money in additional filters in the eastern lignite plants, or simply close them down in the comming years. I think many blocks will simply close down, along with the mines. In past months the price of emission certificates increased to €21/tCO²eq. Futures show a further increase towards €25/tCO²eq. Those price increases will speed up the premature closure of coal. 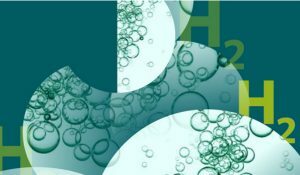 What are the financial consequences of the emission price increase towards €25/tCO²eq? So their emissions increase their cost price with ~€20/MWh. An huge cost price increase while the av. market price for produced electricity is €25 – €40/MWh. So it’s likely that many of those lignite plants will close anyway around 2025. Only CHP’s may continue somewhat longer as they have a more or less steady income from heating the buildings in their surroundings.